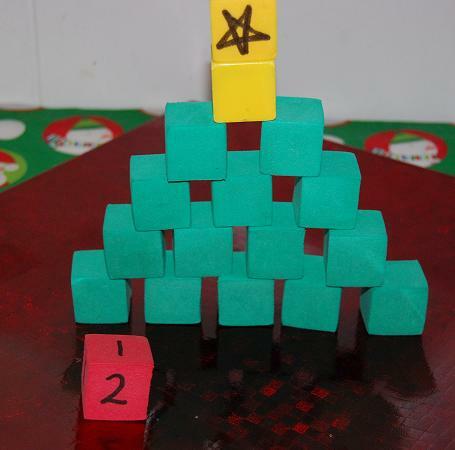 The children take turns rolling the foam die (or picking a card) and place that number of blocks in position to form the Christmas Tree. The tree building continues until all blocks are in place and the last yellow “star” block is added. This activity works well for partners or as an individual building exercise. Younger children can follow the template pattern. Invite the children glue separate cut out squares onto the template as they draw a card or roll the die. Older children can create larger trees using similar patterns. Label the die (or index cards) with larger numbers if more blocks/template squares are used. Materials needed: Gingerbread Number Order.pdf, scissors. Print off the Gingerbread Number Order.pdf (linked above) and cut apart each of the gingerbread men. Laminate for durability if desired. Invite your students to place all the gingerbread men in order from 1-10. Extension idea for younger children: Print off two copies of the Gingerbread Number Order.pdf and play a memory game where the children have to try to find the matching numbers on the gingerbread man’s bodies. Extension idea #2: Students can use the numbered gingerbread men to go along with the song/fingerplay: 10 Little Ginger Kids (see below). Materials: Colored Hair Gel or Clear gel/food coloring, gallon size plastic bags, assorted shapes and objects for the children to make “imprints”, and duct tape for sealing the bags if using with many children. 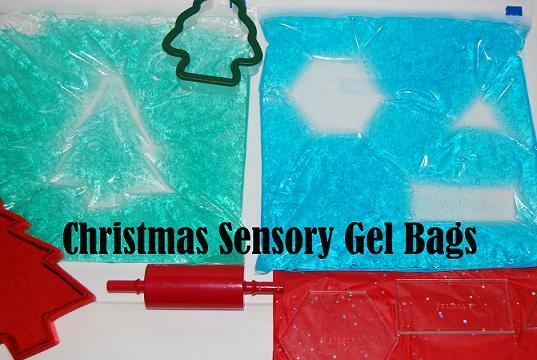 Place the gel &/or food coloring inside a gallon sized plastic bag. Mix the food coloring (if using) by gently squeezing the bag to distribute the color. Seal the bags with duct tape for durability if using with larger numbers of children. For more MATH, science, and sensory ideas, download the Christmas and Gingerbread Themes via this blog! « Introducing….Kiboomu! Music for Kids and MORE!